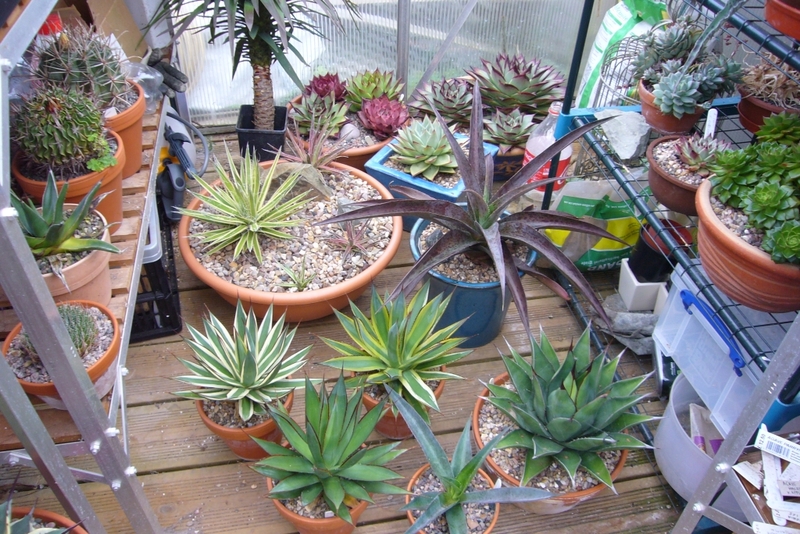 Like most people the preparations for winter have started to gather pace, and this weekend saw the pots put in the greenhouse to start drying them off. It was a lovely autumn weekend, lovely and warm in the sun, then cold as soon as it goes in. It made moving everything in easy, but is sad as summer is over. Putting the plants away is an important time for me; as each pot goes in it gets a little health check looking for bugs and damage. Then once they have dried out, they get a final water for the year this time with a dose of anti vine weevil stuff. I've had a big cull of plants over the last year or two, getting rid of plants that no longer held their own and a lot of duplicates. The only set of plants that has been totally unscathed are the manfredas and mangaves. You can see my largest manfreda in the photo above, a manfreda guttata. Manfredas are a great family of plants, very underestimated. In the UK there are two or three more common ones you can find if you search for them: M. Virginica, M. undulata, M. elongata. They seem to come and go in popularity and at the moment M. guttata seems to be in favour. I'm not surprised as the colour is great and the leaves have good spotting. There is a form called "spot" which have really big spots, but I have not seen it or sale in the UK. This big plants came from a nursery earlier this year, I was a bit worried about the state of my little plant and wanted a spare. Expecting to find a small plant you can imagine how quickly this one jumped into my car on seeing it for the same price as all the little ones on the shelf. I'm pleased to say my little plant which had been struggling for the last couple of years, has finally started to take off as well. The other manfreda really strutting its stuff is manfreda undulata chocolate chips. It is living up to both parts of its name: good spotting on the leaves and rocking the crinkle. I'm hoping for flowers on both these plants next spring. Unlike agaves they are not monocarpic so the flowers are not something to worry about. 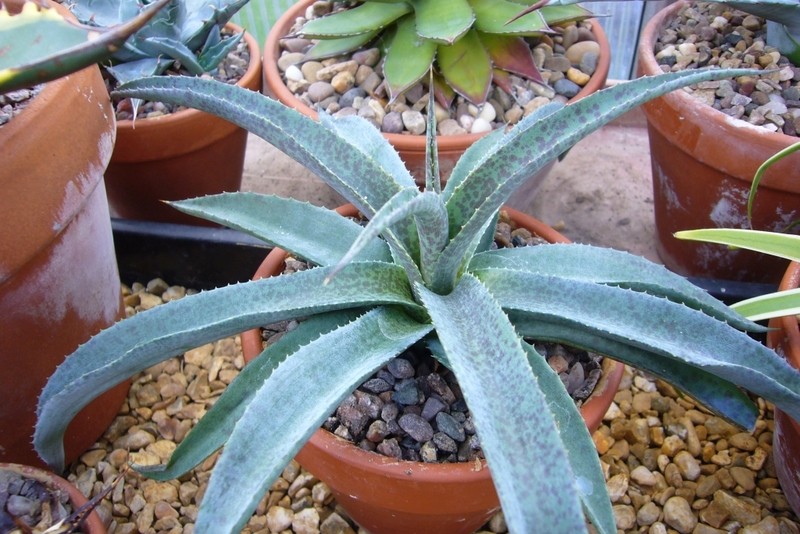 It is the repeat flowering that make them an important feature to agave collectors as they hybridise with agave to produce X mangaves. 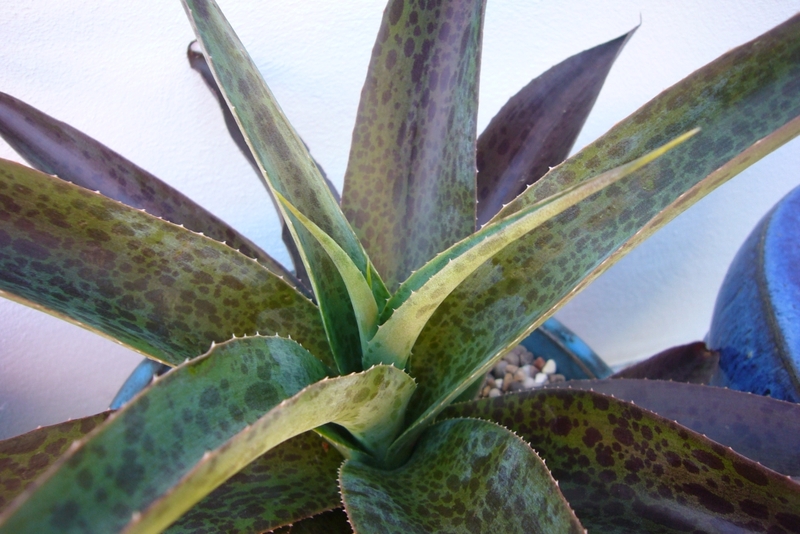 The most common being X mangave bloodspot which is thought to be Agave macroacantha hybrid x Manfreda maculosa. 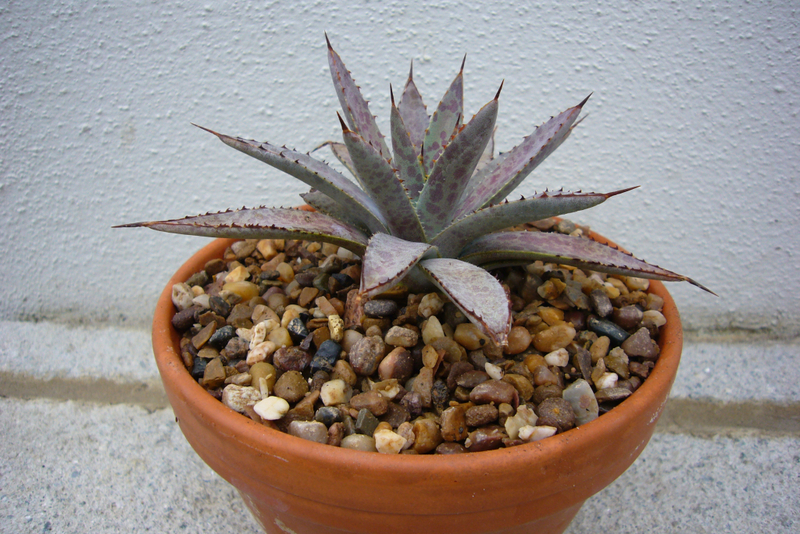 My plant is only little and seems quite slow, but they are beautiful once established and well worth tracking down. The other common one is the mangave macho mocha. I'm still struggling to find the best conditions for this one, it hasn't liked being ignored, so will be getting a lot more attention from now on. The colour on these tend to be really good, especially if given less water. 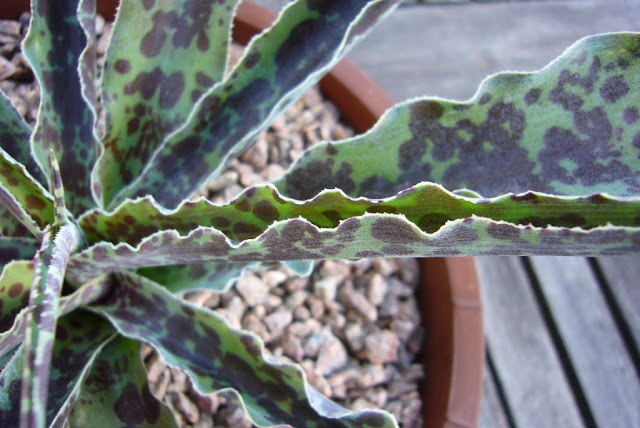 The variegated form managave espresso seems just as temperamental for me. Both forms are snail magnets, they love to take the top layer off the leaves. It is always the case that just as they are getting back to no damaged leaves new damage occurs. Just recently there seems to be a lot more mangaves hitting the market in the US, sadly they have not reached the UK yet so it is more pot luck finding someone who has made their own hybrid and is happy to let you have a seedling or seed. 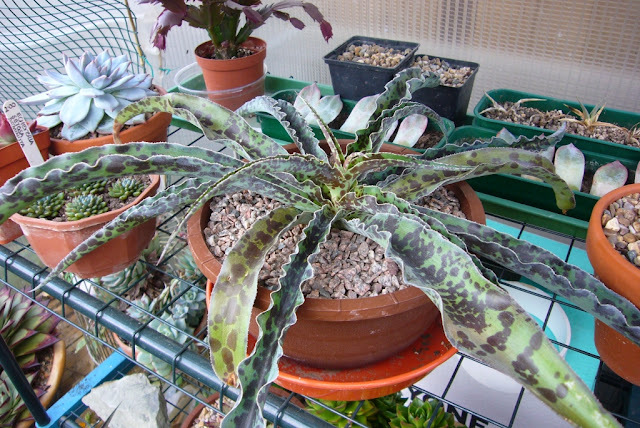 I managed to get two different hybrids from a friend, the first M. maculosa x A. obscura. This plant has very triangular section leaves and good spotting. It was one of the plants that I almost lost due to negligence last winter. Strangely not because of cold, the reverse, it was so mild and having no water for such a long time in the green house almost killed it. Thankfully it is quite a strong grower and so has recovered and with a bit more care over this winter will be back to it's best next year. The second is M. virginica X A obscura. A more relaxed plant and initially I was not really taken with it, apart from the purple colour it was a bit too floppy for my liking. Then this year it has really started to come into its own, the leaves have become more upright and the spotting has developed. Hopefully a lot more mangaves will become available in the UK soon, along with better availability of manfredas. 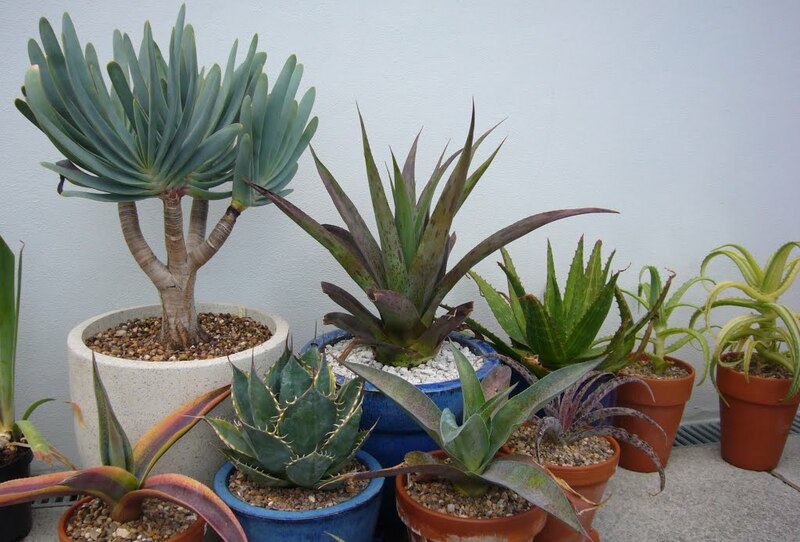 In the first photo I love the tall one in the ceramic pot...gorgeous form...I have never seen one like that...nor have I seen any in the other photos.. California may be too hot/harsh for them? Do you mean the very tall plant on the floor at the back? 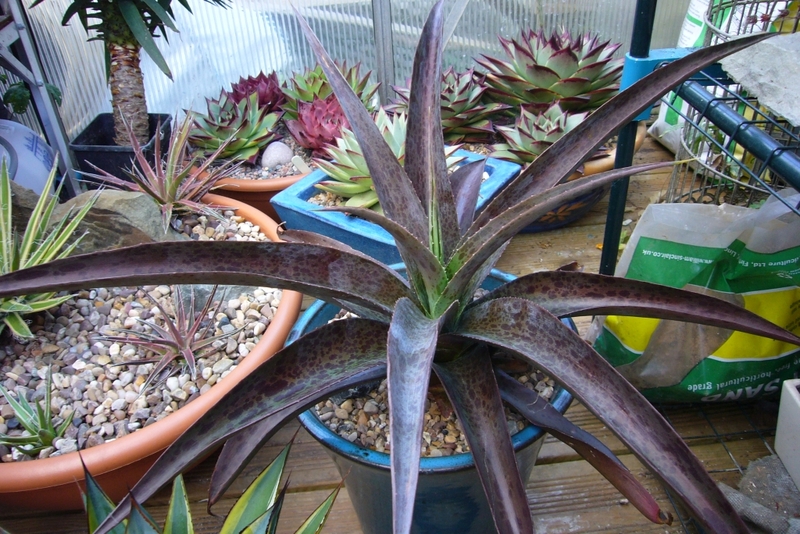 If so I did a post on in a few entries ago, it is the top off my yucca purpurea. If it is the one on the top, but purple it is my aloe purple flush. In terms of manfredas and mangaves they wont be a problem for you at all, you should be able to find lots especially if you look at plants delights website or any of the other famous succulent sights you have. 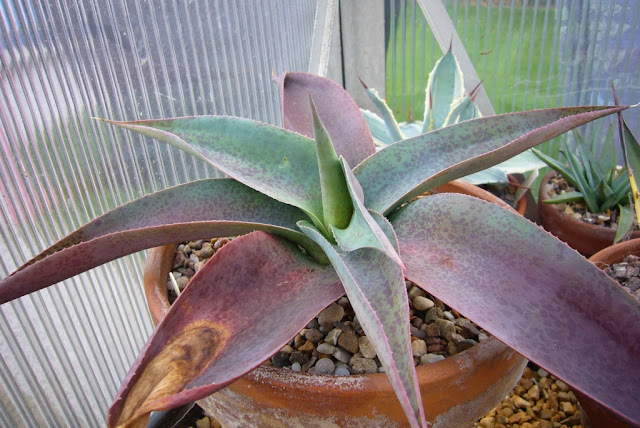 Yeah that is my aloe purple flush, I did a post on a little while back asking if anyone knew what it was and there were a few suggestions of one of the parents which you should eb able to track down. Never heard of a mangave espresso before, but wow, nice colour. Nice plants in general as well! 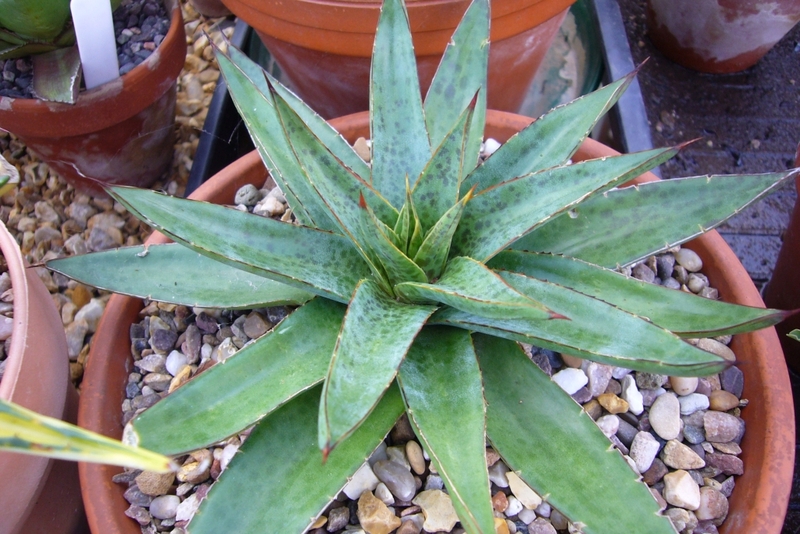 This may be a bit off topic but if you don't mind me asking, do you still have the agave macrocantha X applanata cross that you featured on this blog a few years ago? Yes still have the hybrid just, but is is really struggling. 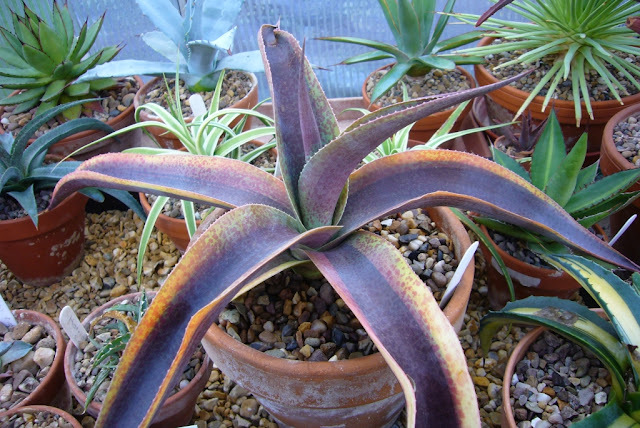 I seem to really struggle with agave macrocantha in general just cant get the watering correct. My ×Mangave 'Macho Mocha' gets full sun all afternoon (inland Northern California) and loves it. The more sun, the better the color, it seems. The same is true for 'Bloodspot'. On the other hand, Manfreda undulata 'Chocolate Chips' prefers quite a bit more shade. I don't think manfreds are true desert plants. My 2 cents worth :-). That is good to know. I don't think our Uk sun leaves trouble the manfredas, but interesting that yours prefer a bit more shade. 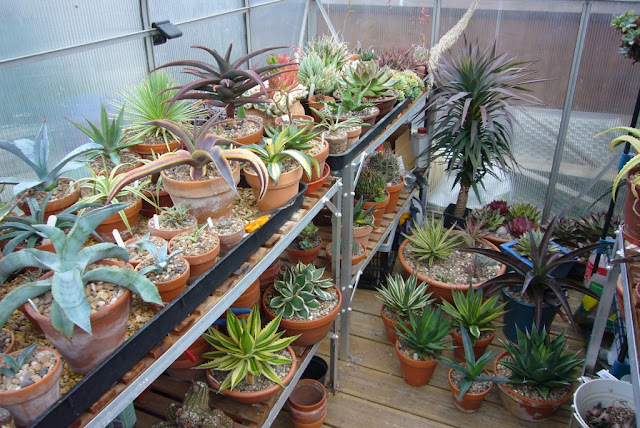 Loving your shelving in your greenhouse, can I ask where you got it. Also genius idea to water with anti-vine weevil stuff. I may have to do that! You must keep on top of vine weevil, you don't want them to get into your collection, and simply watering once at this time of year and then again come spring will be all you need. Time for the tough choices.